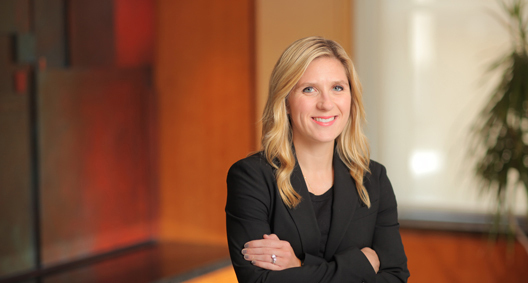 Elizabeth McCurrach is a seasoned litigator in BakerHostetler’s New York office and a member of the Sports and Entertainment Industry team. In addition to her litigation practice, a significant portion of Elizabeth’s time is devoted to counseling clients in the sports industry on a wide range of issues, including the implications of legalized sports betting and developing strategies to proactively prepare for a widespread increase in sports betting. Elizabeth has extensive domestic and cross-border investigations experience. She represents financial institutions, governmental entities and high-net-worth individuals in motion practice, discovery, trial preparation and appellate litigation for complex contractual disputes and bankruptcy proceedings. Elizabeth works with clients to address and minimize compliance risk in connection with environmental laws, FTC rules, FCPA and import/export regulations. Elizabeth's commentary has been featured in Sports Litigation Alert, Law360, Law360UK and Financial Disputes. Works on a variety of litigation matters in connection with BakerHostetler's role as counsel to the court-appointed Securities Investor Protection Act Trustee, Irving H. Picard, for the liquidation of Bernard L. Madoff Investment Securities LLC. Performs depositions and drafts both domestic and international motions, and liaises with foreign counsel regarding investigation strategy, document review, discovery concerns and trial issues. Represented investment managers of a major global bank and financial services company in a matter in the broker-raiding arena originating when the bank was sued. Involved in extensive motion practice, including handling motions to dismiss and appeals. The case was settled on the eve of trial. Drafted an appellate brief to the Second Circuit seeking vacatur of an arbitral award, the strength of which permitted the settlement of the case for a portion of the arbitration judgment obtained by the prevailing party. Represents professional athletes in matters arising from governmental investigations. Provides general governance assistance and support to the firm's relationships with sports leagues, teams and players. Involved in the New York office's partnership with Her Justice, an organization that provides legal services to low-income women in New York City.